Since 1995, Trinet Internet Solutions has been providing ministries around the world professional church web design, new media solutions, live event webcasts, and other technological and new media related services. Ministries have chosen to work with us over the years because of our advanced technical expertise and a commitment to using technology in reaching the world for Christ. From the beginning, and continuing today, we have focused on church and ministry web design as the core clientele for our business. Trinet Internet Solutions offers the latest in technological innovation when it comes to new media and church web design. Integrating Adobe Flash, contemporary and professional design, advanced database solutions, custom application development, and the care of a dedicated staff, we seek to make your church web design project an extension of your ministry. Having a website that is complementary to your ministry, and includes an "easy to use" navigation is essential to the success of the site. Our objective is to provide a user experience where church members actually use the site as a tool to keep them informed and updated on the latest events and happenings. 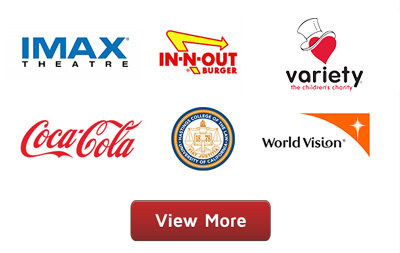 We have designed and built hundreds of sites over the years for both large and small churches and ministries. This experience has helped us develop a "flow" to a ministry site that translates into a site that is perfectly suited to your members individual ministry needs. At Trinet Internet Solutions, we realize that the design and development of your new church or ministry site is a very personal endeavor. Because of this, we work closely with you throughout the entire project, from conception through completion, ensuring that you receive the design and functionality you are seeking with your church web design. You and your ministry staff are an integral part of the team that designs and builds your church web site. We listen to your desires and help in the formulation of a strategy for the site development. This ensures your vision is communicated and an innovative solution is developed. Working with your existing in-house web team is no problem. We have worked with many large organizations where a project is implemented in cooperation with the in-house staff. Trinet Internet Solutions works on a regular basis with many large ministries and agencies, implementing and maintaining various small and large scale web design and custom application projects. Trinet Internet Solutions is dedicated to creating custom church web sites with the purpose of bringing people to Christ. The goal of an effective church web site is to provide an inspiring web experience that brings people to Christ, strengthens and develops their relationship to God, and creates an environment where individuals can share their lives and faith with others. We are excited to share some of our recent church web design projects where ministries have realized the results mentioned. Click HERE to view several case studies related to church web design projects. 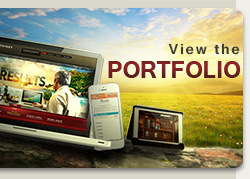 Click HERE to view our portfolio of advanced and professional designs for both ministry and secular clients. We look forward to the opportunity to speak with you regarding your individual vision and needs for your church web design project. Please feel free to call us at 949.442.8900 or you can email us at contactus@trinetsolutions.com.